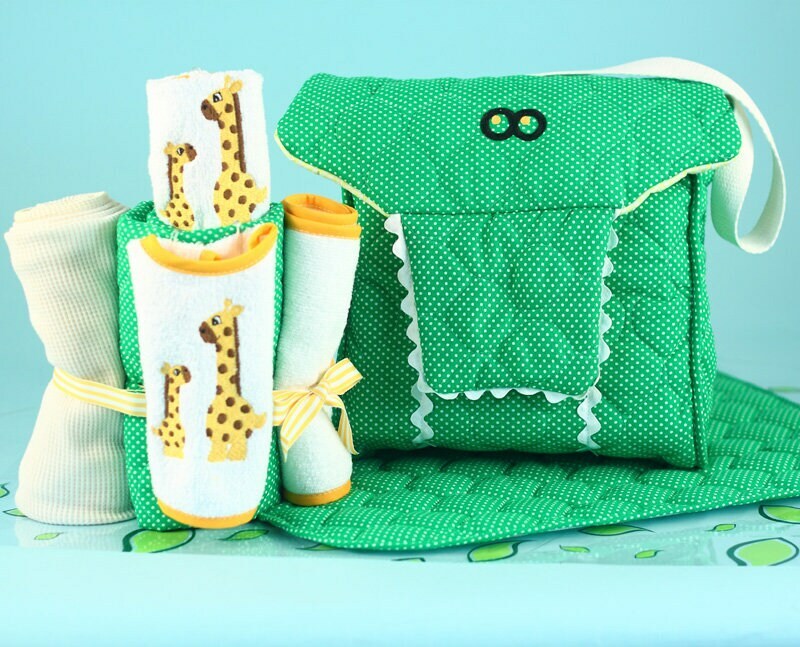 Alligator Diaper Tote Baby Gift Set includes everything needed to take care of baby while on the go. It is a practical gift that also has a great sense of style and playfulness with it's unique safari inspired alligator design. The Alligator Diaper Tote along with all of the contents is made in the USA from quality domestic fabrics. The quilted & lined tote bag features two side pockets to hold baby bottles and comes with a shoulder or stroller strap. The gender neutral colors and design make it an appropriate baby shower gift for either boy or girl. 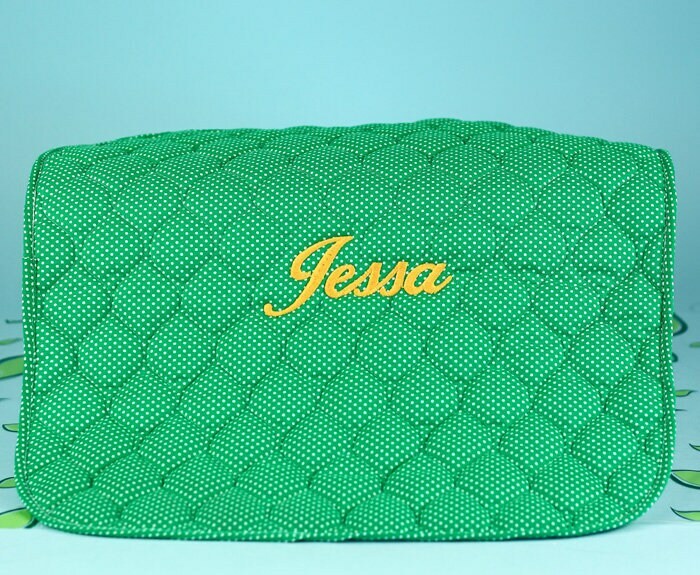 For an additional charge you can have baby's name embroidered on the changing pad to turn this into a beautiful personalized baby gift.